Managed web hosting, also referred to as dedicated hosting, is a type of internet hosting service that allows a client to lease an entire server for their own business. It does not require the client to share server resources with other customers and provides more flexibility than shared hosting services. With managed web hosting, the client has full control over the server, including which type of operating software is used, additional hardware add-ons and other features. Due to the fact the client has full control over the server, server administration responsibilities are usually provided by the hosting company as a type of add-on service for the client. What it means is they will still be providing customer with the regular dedicated web hosting as part of the managed web hosting, but it will also include full support by way of technical and monitoring responsibilities as well as maintenance services. Make sure you check out BigRock dedicated hosting. They provide 24/7 technical support with no extra charge. These are all functions that up until now have been extremely difficult for the web owner to manage. Especially if the owner seems to have a no technical knowledge. This is different from dedicated Web hosting, where generally customers are provided with their own servers but are still responsible for virtually all maintenance and administrative duties. As mentioned above, managed web hosting is a type of web hosting which gives you much control and flexibility so you do not need to share the same server with other websites. 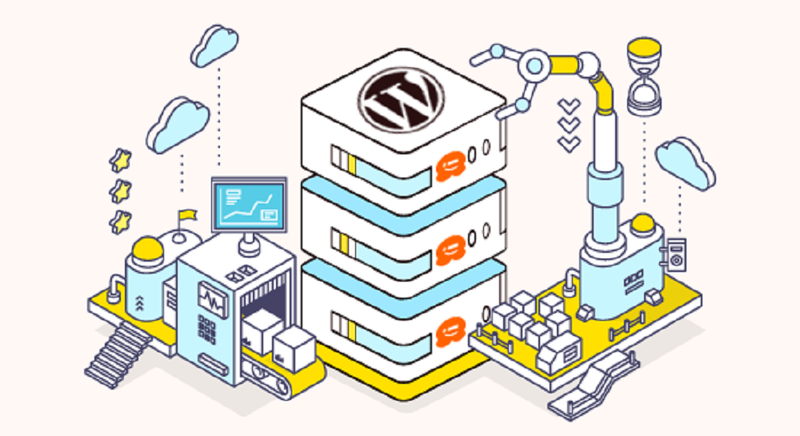 Besides, if you choose managed web hosting, you do not have to worry about website issues because the web hosts will satisfy all your needs so you can spend your time growing your website or company. Therefore, this kind of hosting service is best suited for the people who have limited technical knowledge with limited time: online business people, busy webmasters, and heavy traffics site that need more than their shared web hosting. If you want to choose managed web hosting for your online business, make sure you check all the features and additional features included in the plan. Below some of the additional features that you may include in your hosting plan. Software Updates: Your web hosting company will provide software updates for you. Operating System Updates: When your operating system needs updating, your web hosting company will take care of that process for you, including rebooting the server as needed. Firewall Services: Your dedicated system administrators will lock your server down tight and monitor its firewall so that intruders stay out and visitors can get in. Server Monitoring: Your server will be monitored 24/7 by a dedicated staff and should something go wrong, your data will be recovered and restored immediately. Spam & Virus Protection: You’ll be provided with updated spam and virus protection to protect your site. Control Panel Management: Need your control panel software updated or features added or removed? Your web hosting company will happily perform those duties. Backups: Web hosting company will provide backup data for your site. Technical Support: Anytime just email them, they will provide advanced technical support for any problem. Shared Hosting or Managed Hosting — Which One is the Best? Although shared web hosting is far less expensive, it also leaves you more restricted while managed hosting provides a similar level of simplicity along with more flexibility and control at a higher price. Make sure you choose the best hosting plan that suited your needs. Shared or managed hosting not a problem as long as the web hosting company offer you the best plan that worth your money. We recommended that you check out Coupon Queen Website for affordable Web Hosting Offers & plans start at just $3.95 month plus you can receive a $75 credit for advertising on Google Ads. If you feel that your site needs managed hosting, check out HostGator, a leading provider in web hosting solutions.